As the result of advancement of information and communication technologies, Internet commerce is evolving to become a major form of business activities in our modern society. A recommender system makes recommendations that are of potential preference to a targeted client by aggregating information from clients with similar preferences. While recommender systems play a critical role in Internet commerce for product promotion, sale pattern analysis, consumer satisfaction improvement and supply chain optimisation, they also post serious privacy concerns on possible exposure of preference information to adversaries. In this talk, I will first introduce the problem of privacy preservation in recommender systems, techniques and approaches to tackle it. I will then summarise our recent work on data randomisation, hypergraph identity anonymisation and probabilistic candidate selection for recommendation as respective approaches to achieve privacy protection in preferences, preference relationships and recommendation method three levels. As exemplary work I will present our recently proposed algorithm for privacy-preserving recommendation by partitioned probabilistic neighbourhood-based collaborative filtering. Finally I will conclude the talk by presenting some open problems for future research. 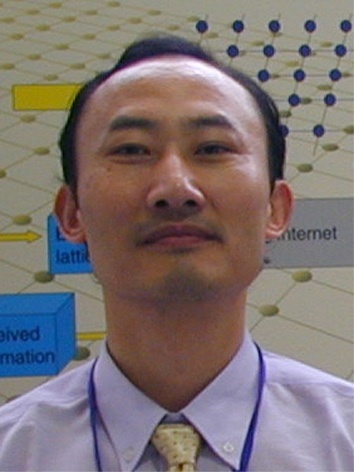 Hong Shen is Professor of Computer Science and Leader of Networks, Parallel and Distributed Systems Research Group of the Faculty of Engineering, Computer and Mathematical Sciences in the University of Adelaide, Australia. He is also a specially-appointed “1000 People Plan” Professor and Director of Institute of Advanced Computing in Sun Yat-sen University, China. He received the B.Eng. degree from Beijing University of Science and Technology, M.Eng. degree from University of Science and Technology of China, Ph.Lic. and Ph.D. degrees from Abo Akademi University, Finland, all in Computer Science. He was Professor and Chair of the Computer Networks Laboratory in Japan Advanced Institute of Science and Technology (JAIST) during 2001-2006, and Professor of Compute Science at Griffith University, Australia, where he taught 9 years since 1992. With main research interests in parallel and distributed computing, algorithms, data mining, privacy preserving computing, high performance networks and multimedia systems, he has published more than 300 papers including over 100 papers in international journals such as a variety of IEEE and ACM transactions. Prof. Shen received many honours/awards including China National Endowed Expert of “1000 People Plan”, Chinese Academy of Sciences “Hundred Talents”, National Education Commission Science and Technology Progress Award, and Chinese Academy of Sciences Natural Sciences Award. He served on the editorial board of several major international journals and chaired numerous conferences.